If you can understand this article, you probably moved beyond a kindergarten reading level some time ago. But that doesn't mean the lessons and humor of children's books belong exclusively in your past. In fact, an occasional stroll among the short shelves of your local bookstore can be therapeutic . . . and can serve as a handy reminder that no matter how much adults try to complicate things, the answers to life's big questions are some times much more simple than we expect. 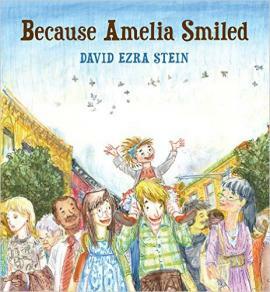 In the book Because Amelia Smiled by David Ezra Stein, a little girl named Amelia smiles while out with her family. Her smile inspires a stranger to send cookies to her son in Mexico. Her son in Mexico is inspired to share his cookies and a song with his class. His song inspires a student to teach kickboxing by video online, and her video inspires a ballet club in England. The chain reaction set off by Amelia's smile travels the globe, sparking goodwill, good times, and even a marriage proposal. For children, Because Amelia Smiled is a beautiful story about how loving gestures travel far and wide. But for any adult who has seen a rabid political debate break out in the comments section of an article on baking, this tale is a welcome reminder of what unites us: Love, joy, instructional kickboxing videos.... Regardless of culture, class, or country, human beings still have the power to bring out the best in one another. Just as Amelia accidentally spreads good feelings all across the globe, adult readers will find themselves inspired to take the best of themselves and pass it on. In Isaac and His Amazing Asperger Superpowers! by Melanie Walsh, Isaac has superpowers that make him different from most people. He can remember loads of facts. He hears so well, it hurts. And he has so much energy, he even gets a special toy to fidget with in class to keep his superhero fingers busy. In this book, Isaac takes the reader through the ins and outs of his unique mind, ultimately confessing that he's only a pretend superhero, but because of Asperger syndrome, he does have a truly unique mind. You probably haven't heard this since second grade, but seriously: read this children's book for the educational value. 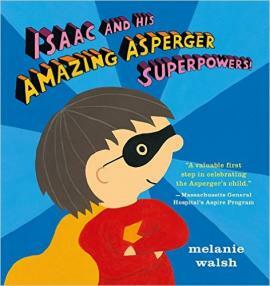 Like many children's books about disability, Isaac and His Amazing Asperger Superpowers! works to foster understanding and acceptance among young readers who don't have Asperger syndrome. Just as importantly, the book offers relatability to readers who do share Isaac's superpowers. It's the concrete information, however, that makes this book particularly valuable to adults. Many of us grew up at a time when "Rainman" was everyone's point of reference for autism, and now that more information is out there, we're scrambling to fill in the gaps in our education. Through the first person narrative, Walsh's book inspires an empathetic understanding of Isaac's brain, from his fear of eye contact to his love of information. 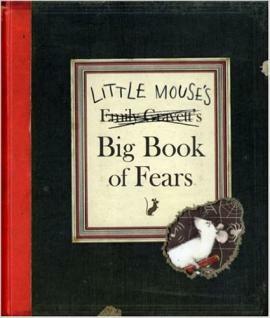 In the book Little Mouse's Big Book of Fears by Emily Gravett, we meet Little Mouse, who is afraid of everything . . . from getting lost to going to bed. This interactive book introduces Little Mouse's fears page by page, including the technical terms like "acrophobia," "isolophobia," and "whereamiophobia." (The author may have taken some poetic license on that last one.) Each page features Little Mouse's anxiety-ridden scribbling, fold-out maps and newspaper clippings that bring the little protagonist's fears to life, and the instructions to the reader to record his or her own fears in the book, too. This book is a must-read . . . for both anxious children and the paranoid adults they grow up to be. What's especially endearing about this book designed as a mouse's tell-all confession of fear is the author's note on the inside cover. Emily Gravett makes it clear: Little Mouse is just a front. This book is about Gravett, a real person with a long list of irrational terrors . . . and this person knows to guide little worriers to catharsis by way of fear collages. But make no mistake. 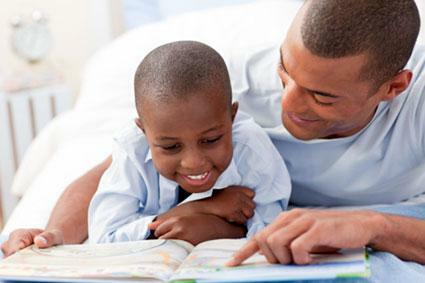 While the little one you're reading to is listing off her own issues, you'll be feeling a secret relief of your own. One of the most exhausting tasks of adulthood is putting on that "everything's okay" mask everyday. It's a reassuring thing to have someone level with you about their own fears, even if that "someone" is a fictional mouse. Gravett saves the most powerful takeaway for the very end, in a surprise twist that reminds readers big and small that fear is first and foremost a question of perspective. 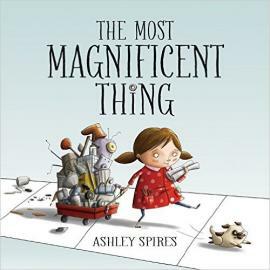 The Most Magnificent Thing by Ashley Spires focuses on a little girl, who has a brilliant idea to invent...the most magnificent thing! With the help of her trusty assistant (her dog), she sets out to make her genius plan a reality. The only problem is, the thing she creates is nowhere near as magnificent as the thing in her head. She tries and tries, but as every attempt falls flat, her frustration rises until there's nothing left to do but explode or take a walk. Every kid knows the angst of looking at a Play-Doh creation and realizing it looks nothing like the one on the box. What kids don't know, however, is that age and experience do absolutely nothing to cure that angst. When it comes to perfectionism and impatience, the difference between childhood and adulthood is that you keep your tantrums more private when you're older. The Most Magnificent Thing is a humbling read, because the little girl's growing rage is so identifiable, as is her resentment for all her failed projects, lined up like the funeral procession following the death of her dreams. But this relatability makes it all the more satisfying when she finally reviews her mistakes to realize that each "failure" has a strength she can build on to finally create a truly marvelous (if not entirely perfect) thing. The Most Magnificent Thing is a lighthearted reminder that an extraordinary idea often calls for an extraordinary(-ily long) process. 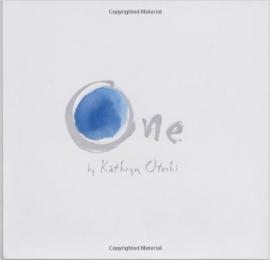 In the book One by Kathryn Otoshi, Red picks on Blue. And the more Red bullies Blue, the more the other colors fear Red. And the more the other colors fear Red, the bigger Red gets . . . until One comes along. One will not be pushed around by Red. Because One speaks up, the other colors do too, and their courage transforms each of them into a number: Two, then Three, then Four, until Red is facing a powerful force of Six. One does what children's books do best: it presents a life lesson in a minimalistic way. It's this simplicity that makes it such a powerful read for adults. From politics to relationships to who-wore-it-best, grown-ups have proven to be the masters at over-complicating a simple problem. So while we're all busy rationalizing our way out of uncomfortable confrontation, One comes at us with a clear, direct message. Change begins when one person stands up. Change won't happen until one person stands up. And perhaps most significantly, this book highlights one aspect of leadership and revolution that a lot of stories about courage gloss over. Change may require one single person to rise up in courage. But that person doesn't stand alone for long. That's a reminder that could change your life at any age. By the time you become an adult, you know nothing is simple. Human beings hurt the people they love. Politicians aren't always sincere, but they're all we've got. Avocados are good for you according to one magazine, but they're bad according to that morning talk show segment. We can't escape this complexity as adults. But we would do well to gives ourselves the occasional change of pace. Children's books have the power to remind us what matters most. Spreading happiness. Staring down your fears. Tying your shoe.